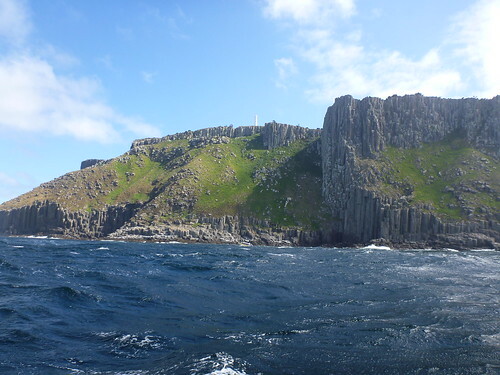 I had no idea what to expect, it definitely wasn't the spectacular scenery we experienced on our cold trip out to Tasman Island. 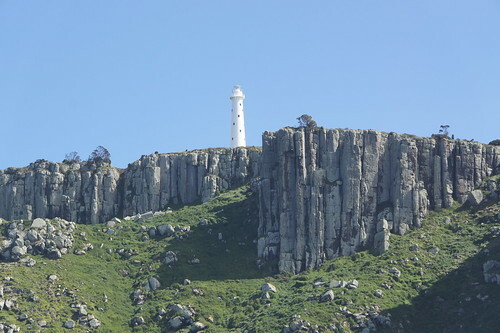 We did this as part of a day trip from Hobart, which also included a side trip to Port Arthur. 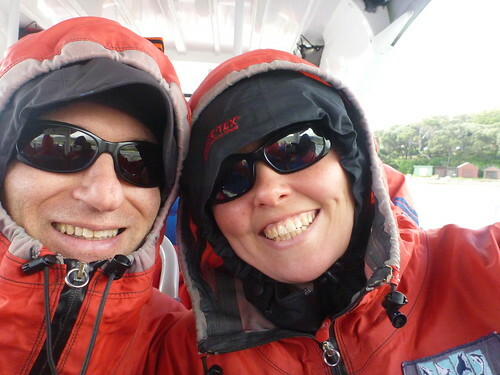 We even got to wear these dry suits, which even though aren't that attractive were more than welcome in the wet, windy and cold conditions. 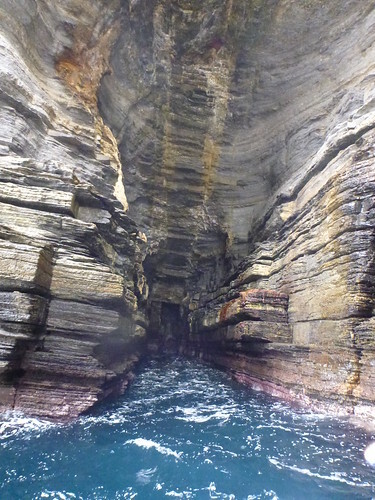 The three hour boat ride takes you up the coast, stopping at major points for pictures and an explanation by the boat crew. 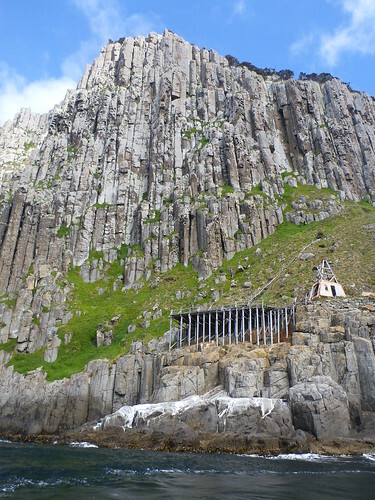 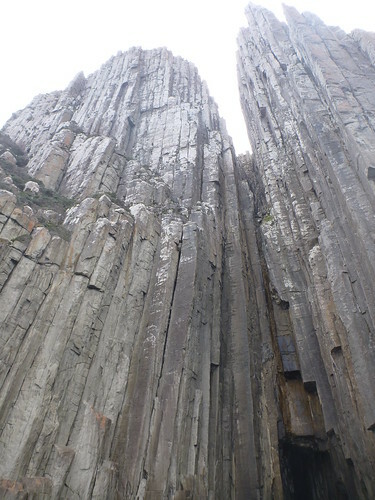 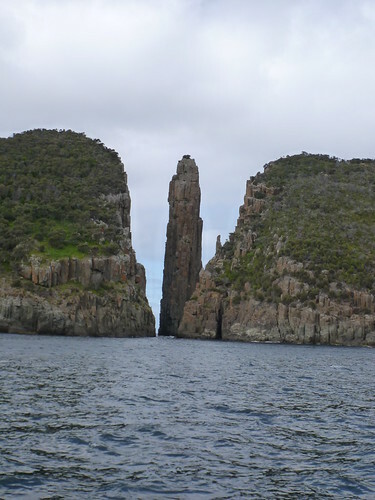 The trip ends with spectacular views of Tasman Island, before heading back to the starting point.